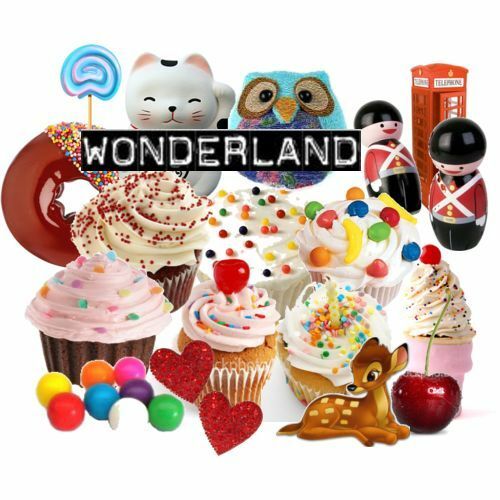 Wonderland: Warning Geeky post! Is Atlantis under Rockall bank? Warning Geeky post! Is Atlantis under Rockall bank? Rockall: The islet of Rockall makes up the eroded core of an extinct volcano (a volcanic plug), and is one of the few pinnacles of the surrounding Helen's Reef. It is located 301.4 kilometres (187.3 mi), or 162.7 nmi, west of the islands of St Kilda, Scotland, and 430 kilometres (267.2 mi) north-west of County Donegal in Ireland. 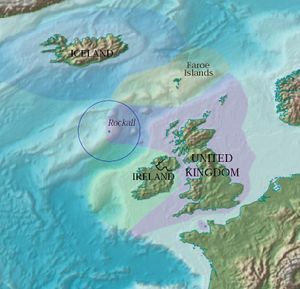 The surrounding elevated seabed is called the Rockall Bank, lying directly south from an area known as the Rockall Plateau. It is separated from the Western Isles by the Rockall Trough, itself located within the Rockall Basin. (Also known as the "Hatton Rockall Basin".) The Anton Dohrn Seamount is a submarine elevation on Rockall Trough about halfway between Rockall and the Outer Hebrides. Cold-water coral mounds have been identified in the region, They are currently being researched. Rockall lies near the Darwin Mounds, deep-water coral mounds about 185 km (100 nmi or 115 mi) north-west of Cape Wrath. These corals are long-lived and slow-growing; a justification for designating Rockall and the Rockall as a Marine Protected Area. Atlantis : The walls were constructed of red, white and black rock quarried from the moats, and were covered with brass, tin and the precious metal orichalcum, respectively. Rockall: is made of a type of peralkaline granite that is relatively rich in sodium and potassium. Within this granite are darker bands richer in the alkali pyroxene mineral aegirine and the alkali amphibole mineral riebeckite. The dark bands are a type of granite that geologists have named "rockallite", although use of this term is now discouraged. In 1975, a new mineral was discovered on Rockall. The mineral is called bazirite, (chemical composition BaZrSi3O9), named after the elements barium and zirconium. Rockall: There have been disasters on the neighbouring Hasselwood Rock and Helen's Reef (the latter was not named until 1830). 1686 — a Spanish, French, or Spanish-French ship ran aground on Rockall. Several men of the crew, Spanish and French, were able to reach St. Kilda in a pinnace and save their lives. Some details of this event were recounted by Martin Martin in his A late voyage to St. Kilda, published in 1698. The ship was perhaps a fishing vessel based in the Bay of Biscay and bound for North Atlantic cod fisheries. 1812 — survey vessel Leonidas foundered on Helen's Reef. 1824 — brigantine Helen of Dundee, bound for Quebec, foundered at Hasselwood Rock; "the crew left most of the passengers to drown, including seven women and six children". 1904 — DFDS steamer SS Norge, 3,318 tons with 727 emigrants and a crew of 68, bound for New York on 28 June 1904; 635 lives were lost with the 163 survivors being taken to Stornoway. There have also been reports in national newspapers in both Ireland and the United Kingdom that at least two unexploded bombs from World War II lie within a 250-metre radius of Rockall. At present, no attempts have been made to remove them. Atlantis: The 4th century historian Ammianus Marcellinus, relying on a lost work by Timagenes, a historian writing in the 1st century BC, writes that the Druids of Gaul said that part of the inhabitants of Gaul had migrated there from distant islands. Some have understood Ammianus's testimony as a claim that at the time of Atlantis's actual sinking into the sea, its inhabitants fled to western Europe; but Ammianus in fact says that “the Drasidae (Druids) recall that a part of the population is indigenous but others also migrated in from islands and lands beyond the Rhine" (Res Gestae 15.9), an indication that the immigrants came to Gaul from the north (Britain, the Netherlands or Germany), not from a theorized location in the Atlantic Ocean to the south-west. Instead, the Celts that dwelled along the ocean were reported to venerate twin gods (Dioscori) that appeared to them coming from that ocean. Reverie - For Musings and Other Delightful Things.